When someone brings up Jamaica our minds immediately conjure up images of long sandy coastlines and an array of greens and blues, which create an indescribable ocean hue. We imagine coconut drinks, sun kissed cheeks, and reggae beats. Negril, Kingston, Ocho Rios, and Montego Bay are some of the most well known and visited areas of the country. While they do deserve time and exploration, there is one small town in Jamaica that has stolen my heart and deserves a spot on anyones Jamaican itinerary. For nearly 6 months my husband and I have lived in Nine Mile, a small town in the heart of the mountains, and Bob Marley’s birthplace. This beautiful area offers a glimpse into an authentic and simple way of life, insight into the present day beauty and hardships of rural Jamaica, and a look into the future, where dreams are constantly being chased. Spending time in Nine Mile isn’t for the faint of heart though, if only for the reason that this is a true small town, in rural Jamaica. Music can blare until 6 a.m., dogs can be heard at all hours, and a squealing pig will regularly rouse you from a deep slumber. It isn’t for close minded or judgmental travellers. It isn’t for someone searching for luxury and the finer things in life. It is for those who seek an authentic experience. It is a place for the traveler who doesn't want to be a tourist. It is a place where if you invest in it, it will invest in you. As you pull into the small town of Nine Mile you will be hit with a collection of sights, sounds, and first impressions. I am going to be honest with you. This is one of those situations where you shouldn't judge a book by its cover. Houses aren’t crumbling down, they are being built up. Most people build their houses until they run out of money. It may take years for the houses to be finished, but they eventually do. It is a slow process, but one that is necessary when fluid cash is hard to come by. You will also notice people hanging out all along the street, at all hours of the day and night. This isn’t an indication of laziness or a lack of purpose. Their lives are centred around community and relationships, which they sustain by hanging out on the street. More so, many of them have lost their livelihood, their ability to farm. The history of Nine Mile lies in farming, and deeper than that, it lies in their connection and reliance on the natural world. Generation after generation has depended on the beautiful red, Jamaican dirt that builds the foundation of this country. Strip mining for the materials used in aluminum have devastated this land, leaving the once fertile soil stripped of its nutrients. Yet, out of this hardship comes ingenuity, creativity, and new dreams. This is the community you will find if you spend time in Nine Mile. Whether you arrive on the East coast of Jamaica or the West, from Montego Bay or Kingston, people will know of Nine Mile. It is located in the heart of St. Ann Parish, nestled in the mountains and far off the beaten path. Still, most guest-houses and hotels will be able to provide information or transportation to Nine Mile. However, this will most likely come in the form of a day trip to the famous Bob Marley Museum. While this is a great draw and well worth the visit for any Marley or music fan, I implore the ‘seekers’ to spend more than a few hours. Stay for a day or two, immerse yourself, get to know the people, and I promise, you will leave with a full heart. This community is growing, just like the farms they are trying to bring back into the area. Nine Mile Cultural Hangout is one of the few established tours in the area. Acting as a guest-house, a restaurant, and a tour provider, the Hangout has it all. Located next to Bob Marley’s Museum, you are immediately drawn to the bright green and pink paint against the vibrant blue bird skies. The Hangout is run by Lovest and her daughter Priscilla. You will find the premise occupied by Lovest’s kind and observant parents, her adorable granddaughter, and scores of other children and passer-bys. The building has been around for 50 years, first starting as their family home, and slowly growing into what it is today. The Yum - Yum restaurant provides delicious and authentic Jamaican cuisine. Keeping it in the family, Lovest’s nephew Bobby will take you on an Eco tour of some farms in Nine Mile. He will introduce local fauna and flora and explain the history of the area. The tour reaches its climax as you ascend the mountains to reach a beautiful crystal cave. While it is small, it is magical, and you are greeted by nothing but clear blue skies and a vast mountain scape, as you crawl out the other side. #1You can hire a taxi to take you to the starting point of the tour or you can walk. I highly suggest walking so that you can channel the vibe and energy of the area. #2The tour will last about an hour if you take a taxi and around two hours if you walk. #3While the Cultural Hangout is currently the only established tour group, others are always willing to take people around. You can usually find a tour guide hanging around the Bob Marley Museum, open to showing you the different types of farms in Nine Mile. Additionally, these locals can also guide any nature lover on a hike through parts of the bush. Here you will pass the other residents of Nine Mile and the hundreds of goats, donkeys, pigs, and cattle that call these hills and pastures home. It is not unlikely to even pass a baby goat, roaming free and frolicking amongst the high grass. While there are other Bob Marley Museums located in Jamaica, the one located in Nine Mile is special. This is the birth place of Bob Marley. Nearly everyone working at the museum, and countless others still living in town, are related to Bob Marley in one way or another. Their pride runs deep and it can be felt. His music blares and there is a constant barrage of One Love sentiments. The first thing you will notice as you approach the Museum is the hustle. The salesmen can offer you anything, food, necklaces, wooden sculptures, refreshments, and other goodies to get you into the Jamaican mindset. You can choose to indulge in the game or simply continue on to the inside of the compound. Once past the large purple gates you enter the museum. You will immediately find your ears greeted with music from the local band. Grab a Red Stripe at the bar and the reggae vibe will be sure to set the mood. Further inside you will also find a showroom, another bar and restaurant, and one of Bob’s homes! The end of the tour brings you to a rock where Bob often laid his head to dream of Zion and create his magic, and finally, to the resting place of Bob and his mother. The tour will leave you feeling connected and reminded of Bob’s vision, his brilliance, and his soul. More nights than not, music can be heard reverberating through the hills until the early morning hours of the next day. There seems to always be a reason to celebrate. Whether it is a birthday, a wedding anniversary, a holiday, or even a death, the Jamaican people regularly keep the party going. Starting early in the day, you can see people making preparations. Speaker systems are being set up, fires are being started to cook food for all who attend, beverages are being delivered and organized, and the energy is in the air. Parties can be held in homes, at the Bob Marley Museum, outside on the street, or at the local club. The party doesn't start till late but when it does, the beats will pound, the drinks will flow, and the dancing won't stop. Tip #1: Prepare yourself by taking a long, early nap in the evening. While a party may claim to start at 10 pm, most people won’t bother to show up until well after midnight! There are a few restaurants in Nine Mile, but these two stand out the most. Jay’s Restaurant, open Monday-Saturday, is a delicious Jerk and Fried Chicken Restaurant. The owner and Chef, Jay, will greet you with a big smile before asking your order. The dish will include a generous serving of chicken, rice and peas, pasta salad, and mixed vegetables. I ROCK Health Food Restaurant is owned by Dan Dan, a local Rastafarian man who provides a vegetarian option for those who seek a meal without meat. While the meal of the day is chef’s choice, you can find delicious dishes with Ackee, tofu, or veggie chunks. Per usual, the meal is accompanied by a heap of rice and peas andvegetables. From the upstairs patio you can enjoy your meal as you watch the hustle and bustle outside of the Bob Marley Museum. The future of Nine Mile comes in its potential and the dreams harboured by so many here. It is not uncommon to see homes turning into guest houses. Store fronts remain stocked, painted, and ready for service and anxious faces wait for an adventurous traveler. Tourism still has a long way to come in Nine Mile but the vision and the drive are there. Natural Mystic is part of Nine Mile’s Future and a vision created by Roxanne Little, a native to Nine Mile who is currently practicing Naturopathic healing in the United States. She splits her time between her practice and her true home in Nine Mile. Natural Mystic is her dream for a healing sanctuary and lodge. Her plans include sweat lodges, a bird sanctuary, accommodations, and tree houses. She will also offer her services, which include acupuncture, cupping, and iridology. Her family and countless others in the community, including my husband and I, are currently helping to build this amazing dream. She hopes Natural Mystic will be ready to accommodate within the year. So for the seekers who want something deeper, keep Natural Mystic on your radar! Tip #1: The first and most important tip- A trip to Nine Mile isn’t necessarily about what you will do and see, so much as what you will experience and feel. You will experience a beautiful community, a calming and green natural beauty, and a genuine interaction with Jamaica. Tip #2: Also important- There is no hospital, doctors office, or supermarket in the community. This is something to take into consideration when visiting. My husband and I came with a general first aid kit and, thankfully, that has worked out to be more than enough. Additionally, if you would like snacks or specific food or drinks, plan ahead. The closest supermarket is about an hour away, and it can be limiting. The larger supermarkets can be found in the major cities. Tip #3: There is no ATM. The closest ATM is also about an hours drive away. Prepare ahead of time. Most people will be happy to take American or Jamaican currency. Tip #4: If you require wifi access during your visit to Nine Mile, I suggest purchasing some credit or data from the local phone company, Digicel. Tip #5: Enjoy every moment. Doing research on putting together an awesome itinerary for the Philippines? LOOK NO FURTHER, because I spent hours on hours on researching what to do/where to go and successfully going on one off the most amazing trips of my life THAT I NOW GET TO SHARE WITH YOU! *Please note- this is a trip that my husband and I took our moms on so it is not your typical money-saving, hostel-staying trip that I usually do. We spent a little extra more on accommodations, but because we were a group of 5 traveling, the per-person rate was not that high. Beside paying more for accommodation, the rest of our trip was SUPER cheap. The transport and food has an unbelievably low cost!! Because of our group size, we had private transport wherever we went and had a private van (only if going long distances, otherwsie we took two of the little cab tricycles). For example, to get to Oslob back to the airport in Cebu City we paid about 18 dollars per person for the 4-5 hour ride. Moalboal was about 2.5 hours from the airport vs Oslob would have been about 4-5. I loved the airbnb that we stayed at, the house was in a perfect location on white beach, which is a super clean powdery white beach. I don’t have much else of a review of white beach because we arrived in the afternoon and left at 6 am the next day. --PS don't be afraid to negotiate a bit with airbnb prices, it's worked for me in the past! I read numerous blogs on getting to Kawasan Falls EARLY to avoid crowds. I’m so glad I took the advice because we arrived around 7:15 and we were 1 of 2 groups there. It was so lovely to have the whole waterfall to ourselves. We spent about an hour at Kawasan waterfall and then headed to Oslob and to get to our next Airbnb and we got there around noon. THIS AIRBNB IS MAGICAL- The location is perfect especially if you are going to swim with the whale sharks. *It's only 8 minutes away from whaleshark watching site* It is one of the most beautiful villa rentals I’ve seen in my life- literally sits on a cliff and you see a beautiful sunrise every morning. There are a couple of different airbnb pages for the villa based on what you want to rent- You can rent the whole villa, or just parts of it if you are looking for a cheaper price. We ended up renting the whole villa because we had a larger group and also wanted privacy because it was more of a family trip. The staff is super accommodating, and I spent time with each of them and left with friends :) *IF you want to rent here send Fay a message through airbnb, and PLEASE mention my name (Danielle Peterson Thurber) I became friends with the owner and would love to send more guests her way. It’s always nice to hear your word-of-mouth referrals are working !! Day 3- Woke up early in Oslob and was at the whale sharks by 7 am. Again, I read tons of blogs saying GO EARLY NO LATER THAN 7!And they were all right. There were already heaps of people there by 7 am. If I did it again I may even try to arrive by 6 am :) Swimming with the whale sharks was such a cool experience, but you only get a short amount of time in the water with them, about 15-20 minutes if I recall. The rest of the day we spent lounging in the pool staring at the views again (lol) and then the staff organized a boat to come pick us up right from the waters below the villa (AWESOME!) and take us to Sumilion island which is right across from the villa you can see in my picture. YOu can pay to go on the island which is a resort with a pool, but because we have the amazing airbnb pool (photo below) we didn’t feel the need to do that, so instead we just hung out for a few hours at the sandbar around the island and snorkeled in the crystal clear waters. I repeat, crystal clear. Reminded me of water in the Bahamas. Day 4- Woke up early to drive back to Cebu City for our AirSwift flight to EL Nido, Palawan. Arrived in El Nido around 4 pm and stayed at Aetas Glamping, which I found on AIrbnb. This is SERIOUSLY an amazing gem I found, and we stayed 3 nights here. The experience was something unique and different, and I wouldn’t have traded this stay for anything else. The staff was unbelievably accommodating, and they left little surprises on our bed every day (homemade organic lip balm, homemade hair masks, bed decorations, afternoon snacks, welcome drinks, etc) Seriously read the reviews on this place, and I Hope they convince you to stay there like it did me!! We had breakfast at Aetas daily, but got recommendations for lunch and dinner in El Nido town for all other meals and they directed us to the best of the best local food joints in town which was SO AWESOME! Day 6- woke up early to do the last combo island hopping tour, again early 8 am- Then we rented scooters (Right at aetas) to go on a 45 minute ride to Go to DULI BEACH! DON’T MISS THIS BEACH- totally beautiful, white sands cove beach, HAS SURFING !!! There are 2 little beach restaurants at the end of the beach where you can rent surf boards. I went surfing and it was SO MUCH FUN. The restaurant's have a laid back surf vibe. This day was awesome!!!!!!!!!!!!! All meals and activities are included here. Free island hopping tours and snorkeling, free kayak and sup rentals, free rappelling, rock climbing, etc! This place was everything and more!! Such a beautiful island to explore and relax. Day 11- FLY BACK TO CHICAGO EARLY! I feel like my time in both Cebu and Palawan was sufficient and wouldn’t change my itinerary that I completed. What I would do differently- I would spend more time in the Philippines but go to a couple more islands! One Island that I REALLY wanted to go to was Siargao, which is known as their surfing island and has a super tranquil, laid back vibe. Another island that I would have liked to go to is Siquijor, which is known for its mountain healers and being a “mystical island” - The terrain is supposed to be untouched and beautiful! Because the Philippines is SUPER CHEAP, I would definitely recommend spending a little extra on the accommodations (if you are able to and it's in your budget, or finding a group of people to be able to do the larger airbnb rentals) I wouldn’t change for the world the places that I stayed, it really made it quite unique and adventurous. All I have to say is VISIT THE PHILIPPINES!!! I got so much heat from people, "why would you want to go there? It's such a poor country, " they would say. Why wouldn't I? Just because a country is poor does not make it any less appealing to visit. The beaches and ocean was a blue unlike any other I've seen, the jungle landscape lush, and the people were absolutely beautiful, kind and accommodating. Traveling around the country was the cheapest of any place I've ever been to, and I got roundtrip tickets from Chicago for $500 through EVA air!!!!!!!! Tucson was our last (and quick) stop on our road trip through Arizona. 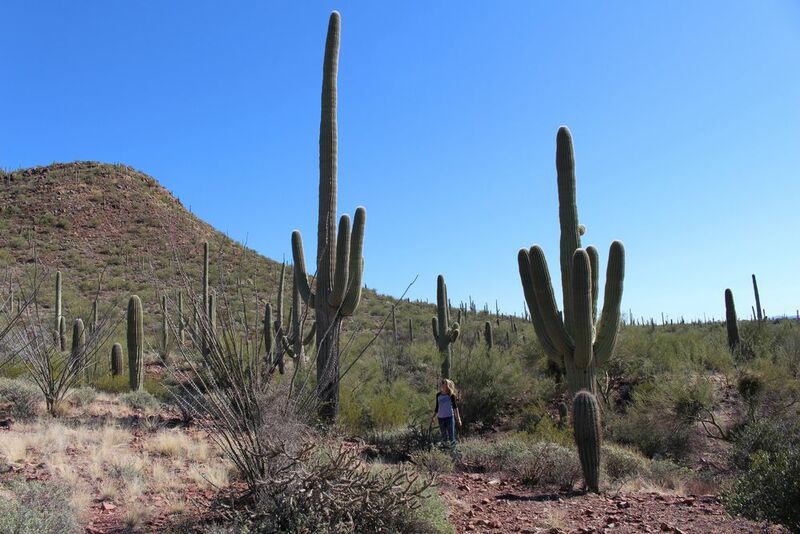 Before flying out we took some time to check out Saguaro National Park, home of the largest cacti. From Native American artwork to Arizona souvenir travel mugs you are probably familiar with seeing the famous saguaro cactus, which has become the universal symbol for the American West. The Saguaro National Park is unlike any other view I have seen before. There are approximately 1.6 million individual saguaro plants growing within the national park. The beautiful red mountains in the background make it one hell of a site to see. Saguaro National Park has two districts, encompassing a total 91,327 acres. The Rincon Mountain District is located to the East of Tucson and the Tucson Mountain District is located to the West of Tucson. There is a visitor center in each of the two districts. For directions to each district please visit here. DID YOU KNOW: The average lifespan of a saguaro cactus is 150 years, but some plants may live more than 200 years. A 20 foot tall saguaro weighs approximately 1 ton (2000 pounds). The park is open every day of the year except Christmas, and the busiest time of year is Nov- March due to the cooler weather. Late April and March is when you will see the iconic saguaros begin to bloom, along with many other wildflowers. Did you know? Saguaros are a very slow growing cactus. In Saguaro National Park, studies indicate that a saguaro grows between 1 and 1.5 inches in the first eight years of its life. Entrance fee paid for admission to Saguaro National Park is good for seven days and includes both the Tucson Mountain District (West) and the Rincon Mountain District (East). Admits one single, private, non-commercial vehicle or motorcycle and all its passengers. Organized groups are not eligible for the vehicle permit. From the Grand Canyon we took a day trip to Page, leaving early in the morning to make it to an 11 a.m. tour of Antelope Canyon, and returning back to the Grand Canyon after sunset. 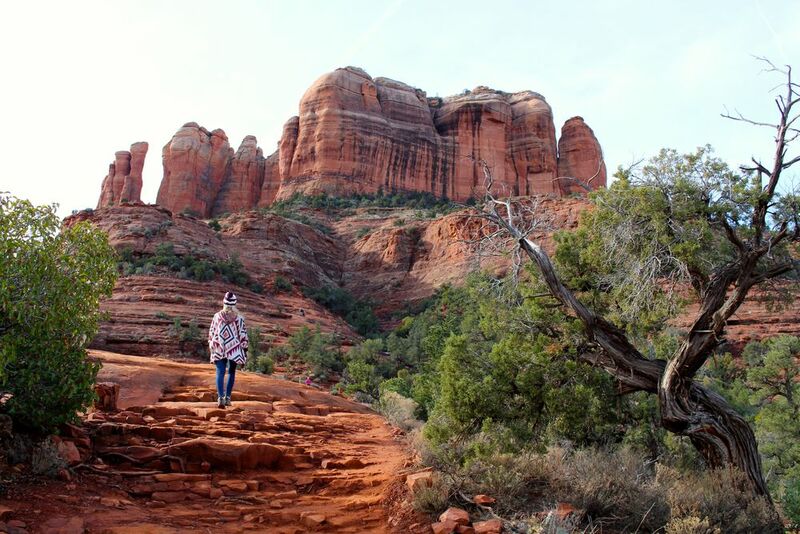 I HIGHLY recommend doing the activities of Page in a day, which CAN be done, as there is not much in Page besides the three main highlights: Antelope Canyon, Antelope Canyon River Tour, and Horseshoe Bend. Upper Antelope Canyon, known as a slot canyon (think of a cave without a roof), is one of the most photographed canyons in North America. This canyon, among with others, were formed over millions of years ago when tributaries of the Colorado River would flood during hard summer rains. Now a sculptured masterpiece remains. Antelope Canyon makes you feel like you enter into another world. The shapes and colors are constantly changing with the ever changing position of the sun casting light into the cave. Your Navajo Guide will take you on an easy journey through the canyon stopping in areas that are popular for photos and also sharing the Navajo Cultural stories about the canyon. 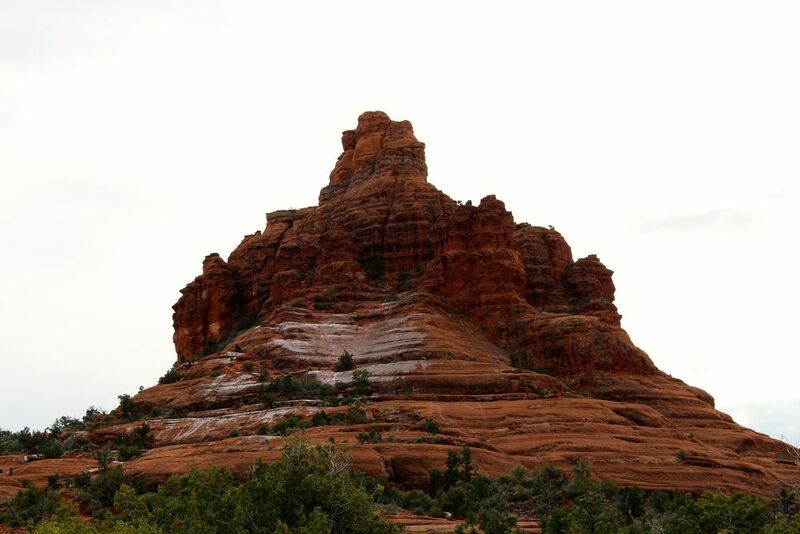 This tour is very informative, sharing the history and geology of the canyon and lasts about an hour. Your Navajo guide with bring you on safari-style vehicles to the entrance of the canyon, sharing Navajo cultural stories and explaining about the history and geology of the canyon. *Note* The ONLY way to see Antelope Canyon is by signing up for a tour, as it is on a Navajo Indian Reservation. We did a tour with Navajo Tours, which operates tours all day long. Any time of the day is good to see the canyon because as the sun crosses the sky it offers different lighting within the canyon. Rumor has it that the BEST time, however, is around noon, when the sun is high in the sky. The tour cost $40 dollars per person. Navajo Parks and Recreation requires permit to enter the canyon and there is an additional $8 charge, that must be paid in cash. Tour payments can be made by credit card. For the avid photographer, there is a professional photography tour for $80 that lasts about 2 hours long. There are a few other tour companies that operate that offer the same packages. You can also opt to tour the Lower Antelope Canyon, which offers some different photo opportunities. We went in January, and although we were unable to see the famous beam of light that shoots through the canyon (due to the position of the sun in the wintertime sky) we were able to enjoy the slot canyon with less crowds and more photo opportunities. After we ended our tour of Upper Antelope Canyon we headed into Page to grab some lunch, and then made it to the Antelope Point Marina for a boat tour of Lake Powell by 2 pm. The tour departs every hour and a half, so it’s easy to catch. The tour on Lake Powell lasts about an hour, letting you relax and enjoy the beautiful contrast between the blue waters and the Navajo Sandstone. The tour costs $28 for adults and $18 per child. Visit Antelope Canyon Boat Tours for more information, directions and to reserve your spot. The view down into the LIttle Colorado RIver from the canyon overlook is one you will never forget, and is a must see location for either sunrise or sunset. After our boat tour we headed straight to Horseshoe Bend for sunset which was around 5:30 p.m. Arriving at Horseshoe Bend is an easy 1.5 mile roundtrip walk from the parking lot off off U.S. Route 89. The overlook is 4,200 feet (1,300 m) above sea level, and the Colorado River is at 3,200 feet (980 m) above sea level, making it a 1,000-foot (300 m) drop. If you are brave enough to stand at the edge (that has no handrails) and look down, good luck! 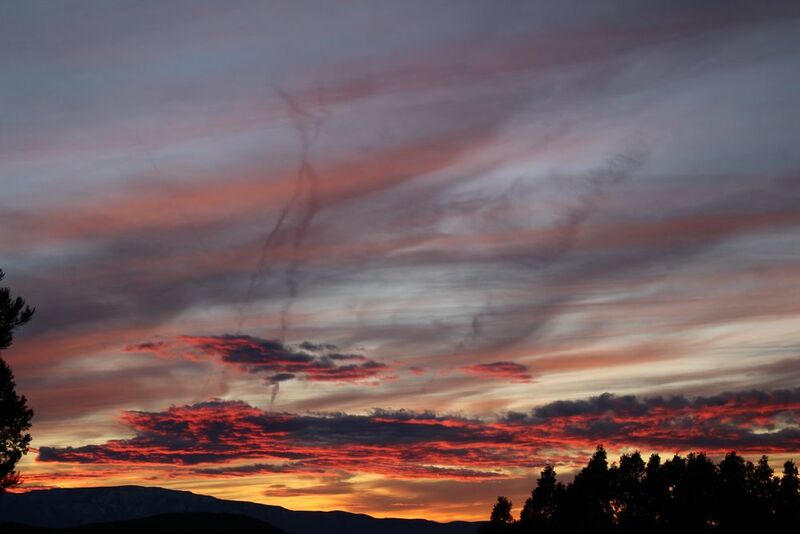 This site will leave you speechless, especially if you stay for the setting sun, casting colorful hues across the sky. Best of all: IT’S FREE! From Page, AZ drive south on Highway 89 to between mile posts 544 & 545. Look for the exit lane and prominent dirt road on the west side of the road which you can drive a short distance on to the parking area. There’s a distinct charm of visiting the grand canyon during the winter time. People walk around bundled up as if you are in a ski town, but instead of lugging around skis and snowboards, tourists have walking sticks and a camera slung around the neck. We chose lodging at the Bright Angel Lodge, mainly because it is one of six lodges that offer accommodations right at the rim of the Grand Canyon. The lodge is located on the South Rim, which is open year round, and is also the most visited location at the Grand Canyon National Park. You can pick up the hiking trail right outside the lodge that goes for 22 miles. Bright Angel Lodge has natural rustic character, and our private cabin was steps away from the South Rim, with breathtaking panoramic views of the Grand Canyon. The main lodge is a cozy log building, with Navajo designed doors painted in yellow, red, turquoise and powder blue. There is a beautiful stone fireplace in the “lobby” with an 8 foot thunderbird hung above with feathers that hang down from it’s mighty wings. The lodge also features a gift shop, two restaurants, a lounge and an ice cream fountain. Good to know: Entrance fee’s to Grand Canyon National Park is $25 per vehicle, and the park entrance pass is good for 7 days. Recommendations: Go to the Grand Canyon in the winter. It’s a lot colder, yes, but there are a lot less people to deal with compared to summer crowds. Just be sure to bundle up!